Wood furniture gives your home a feeling of luxury and history, but when the finish becomes scratched through regular wear and tear, it simply looks old and worn. Before you replace your wood furniture, try these simple ways to repair unsightly scratches. If the finish is scratched but the underlying wood is not damaged, fill it in with clear nail polish. Let the nail polish dry, then use fine steel wool to buff out any irregularities in the surface. Use a furniture restoration felt-tip marker to color in the scratch if it is still noticeable. Use furniture polish to restore the original sheen. Deeper scratches require more intensive work, but you should be able to repair them yourself. Purchase furniture restoration wax in a color that is similar or slightly darker than your furniture’s finish. Rub the wax into the scratch, filling it slightly over the level of the surrounding wood. Use a flat object, such as a ruler or a credit card, to level off the wax. Polish the repaired area with furniture polish to help the scratch blend into the surrounding finish. Should You Hire a Furniture Restoration Specialist? Antique or valuable wood furniture – if your wood furniture is a family heirloom, or a valuable antique, you should hire a qualified professional to make any repairs. They will be able to advise you on which restoration procedures will increase the value of your furniture and which will reduce it. Extensive damage – if your wood furniture is deeply gouged or the entire surface is scratched, it may be best to refinish and restore the piece rather than simply repairing individual scratches. 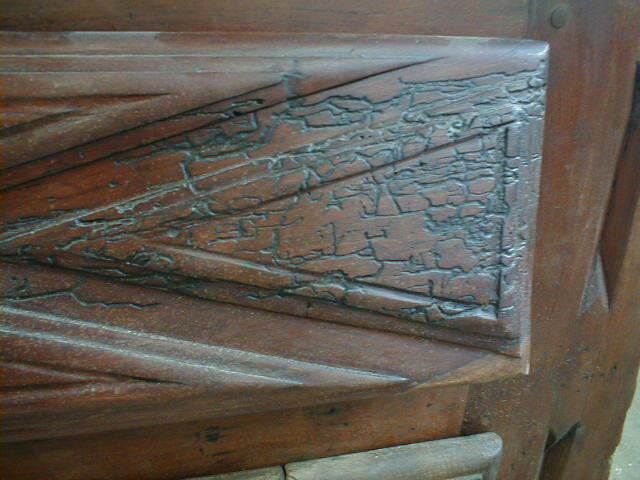 Consult a reputable furniture restoration specialist for advice. Time constraints – if your schedule doesn’t permit you to spend an hour or two repairing your wood furniture, or you simply prefer to trust a professional, don’t hesitate to call a furniture restoration company. If you decide to call a furniture restoration company, be sure to ask for several references. A reputable company will be able to provide you with the names of both current and former customers.